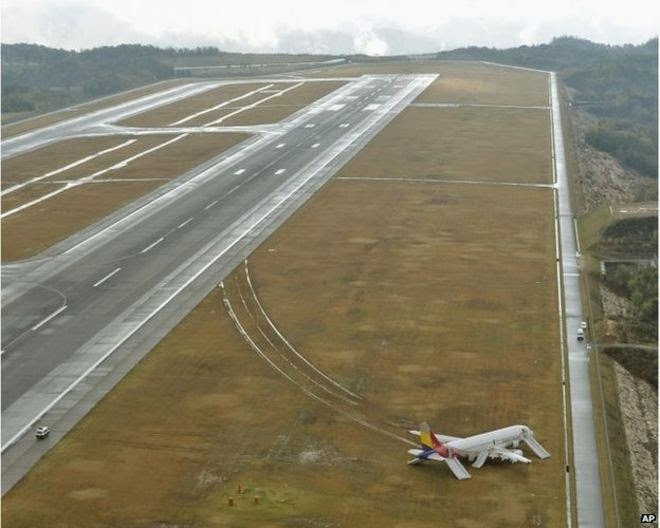 A South Korean Asiana Airlines Airbus 320 skidded off the runway while landing at the Hiroshima airport, Japan. The plane skidded of the runway and came to rest on the edge of the green area around the side of the runway. 74 passengers and seven crew members used emergency chutes to evacuate with 20 passengers having minor injuries.